We reviewed this cool new robot parrot from Hasbro and found him to be fun, entertaining, and tasty for cats. 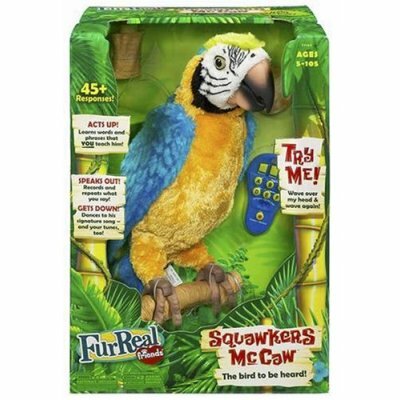 Amazon has an offer running where if you spend $250 on other things you can get your very own Squawkers (normally $69.99) for free. This is an awesome deal on an awesome toy if you were planning on spending the bucks at Amazon anyway.